I love everything about December. When it rolls around there is just a change of atmosphere that I love so much. People seem to have an extra skip in their step, kind word to say, or good deed to accomplish. I think it’s the happiest time of year. While the kids can get all excited about presents and seeing Santa, the adults can get excited for a night out for the Christmas party, decorating the house and making yummy Christmas food or catching up with friends over nice festive drinks for Christmas. I love making up drinks during the holidays. Last year, I share my love during the holidays for my Fizzy Lemon Cocktail. 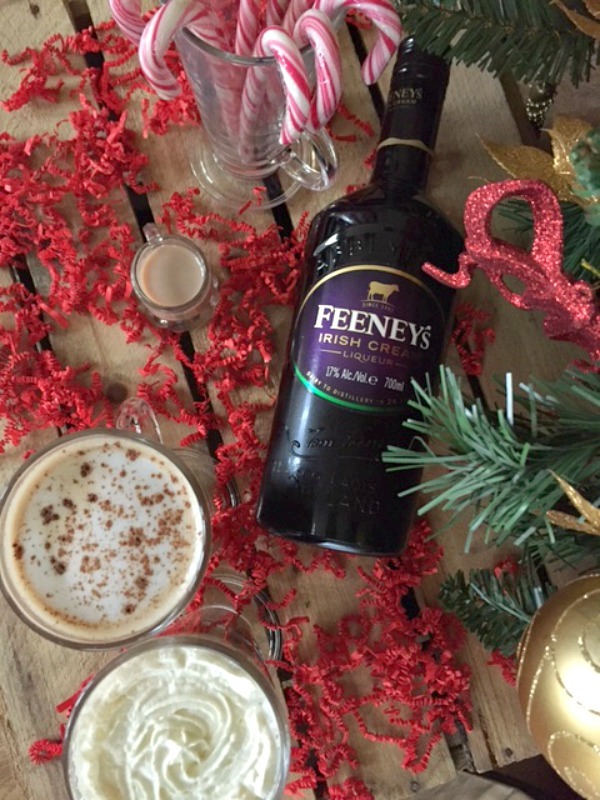 So this year I am going a little more creamy and comforting with Feeney’s Irish Cream from 31Dover. From the moment it arrived in it’s beautiful sleek black box with silk black ribbon, I knew I was going to like this one. I immediately started thinking what festive drinks I could make with this golden cream heaven before me. I am a big fan of Irish cream and like most just having it in a tumble with ice to sip on in front of the fire is enough to comfort me. I thought I could spice it up with peppermint candy canes in mine. 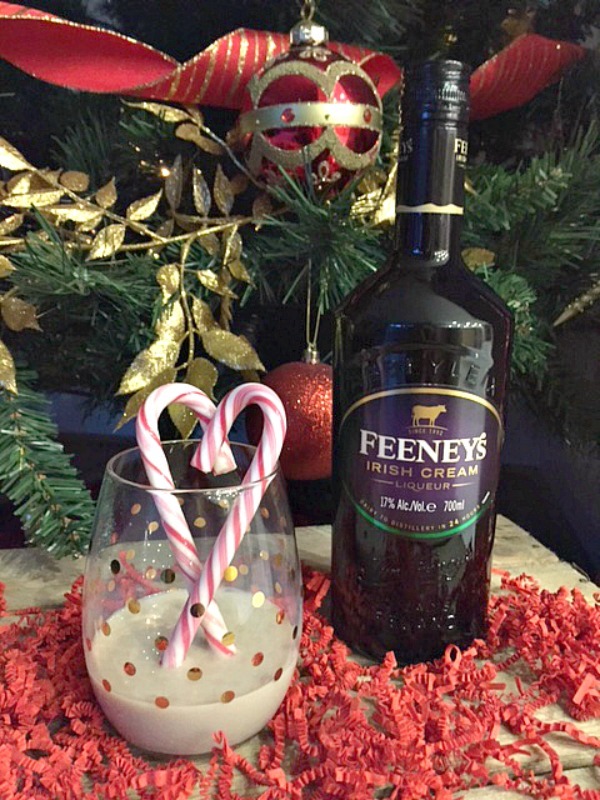 The liqueur actually slowly melts the candy cane right into the drink which gives it the most festive taste of all, peppermint. 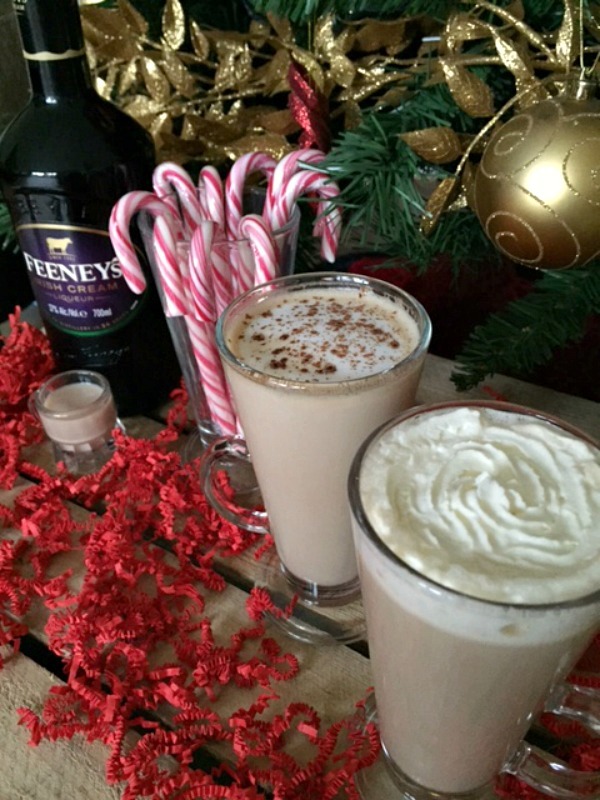 The combination between Irish cream and peppermint is my new favorite Christmas drink. This next one I made two different lattes with it. I am the biggest coffee drinker ever so pairing it with my evening decaf latte just seemed appropriate. The first latte I added one shot Irish cream, one shot espresso and frothy soy milk topped with cinnamon. The second latte I create a cappuccino style coffee, one shot espresso and frothy milk with fresh whip cream on top. The whip cream immediately took on the flavor of the coffee and Irish cream mixed. Both festive drinks were absolutely delicious and perfect for any guest visiting for a catch up over the Christmas period. 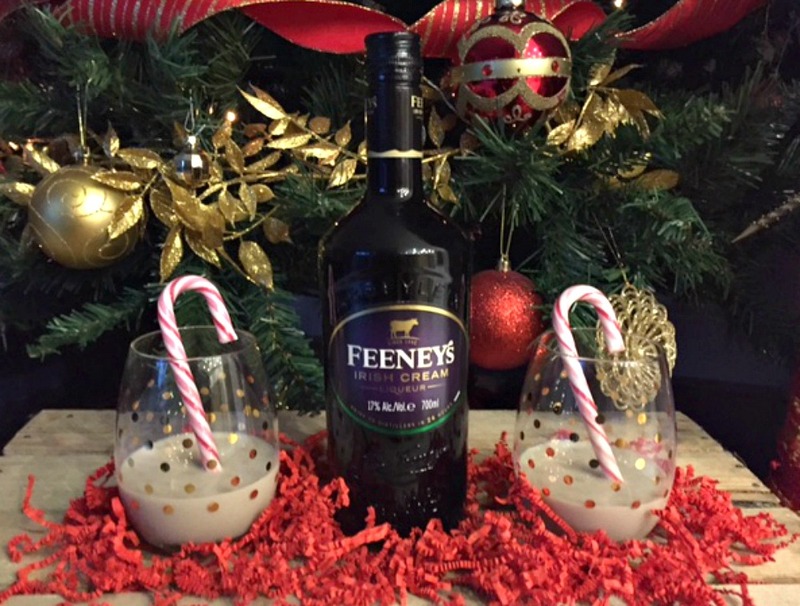 No matter which way you drink Feeney’s Irish cream I think it’s perfect safe to say you can’t go wrong with it. It’s smooth, creamy and has the best after taste ever. I am not a huge drinker of liqueurs but I really enjoyed this one. Do you have a favorite holiday drink? Have you created your own combination for the festive season ahead? I would love to hear about it. Comment below or catch me on social media @letstalkmommy. The spiced vodka sounds nice and with a little lemonade. Best of luck. It really does sound tasty for the holidays doesn’t it? Best of luck and thanks for stopping by and commenting. Oh yes it certainly is. Good luck. Thank you for offering such a lovely prize. Never heard of this but OH MY GOODNESS. I love spiced anything, especially during the winter. Yum yum! I have never heard of it before but always like to try something new. I love flavoured spirits, it’s like having a cocktail without the effort or ingredients. I would love to try it. Sounds so tasty! Spiced vodka sounds great! Would love to try it! Perfect accompaniment to mince pies… No? Truly super prize! Lovely drink for a Christmas tipple. I think my husband would absolutely love this. Sounds lovely thank you for the giveaway. That sounds like a delicious vodka! 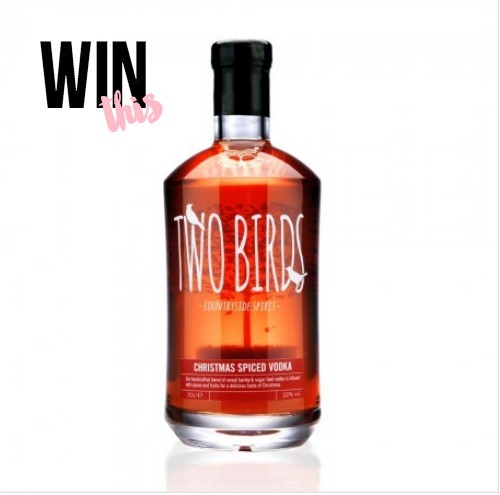 Amazing giveaway, my husband is a huge fan of vodka so he would be super happy if I could give it to him for xmas!! This looks like a very tasty Christmas tipple! this would make a nice twist to classic cocktails! I’ve never heard of spiced vodka before! I’d like to try that. Just the thing for my sister. Would love to try this, sounds yummy! Looks yummy. I suppose I could alternate my prosecco with spiced vodka! 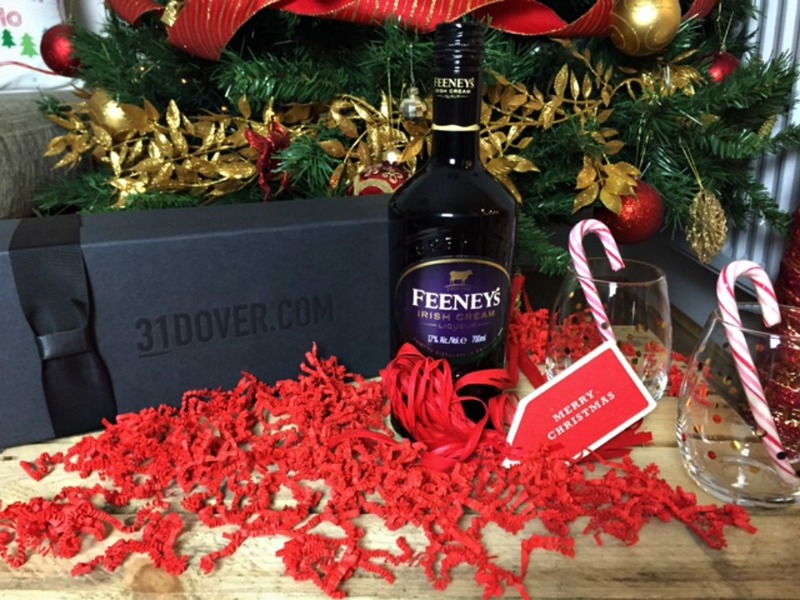 I had heard of 31Dover but not the Two Birds Christmas Spiced Vodka, sounds delicious! I’m usually an Irish cream girl at Christmas, but vodka is my usual drink so I will be making a point of trying this one this year. I do love a bit of flavoured vodka. I’m on bottle of Smirnoff espresso currently. Perfect for cosying up to somebody one evening and snuggling under the blanket. Ooh this sounds wonderful – vodka and Christmas are two of my favourite things! Spiced vodka? You had my curiosity… but now you have my attention!